As luck would have it, the early season strawberries I bought this week were not up to standard. They weren't sweet and didn't have enough of that fresh bright flavor that makes strawberries so desirable. But instead of tossing them in the garbage, I knew I could vastly improve their flavor by simply roasting them. Roasting fruit always intensifies the flavor and produces a lot of delicious juices. Add a vanilla bean to the mix and you get a really wonderful aroma and taste, clearly a grand embellishment upon what I started with. The rest of the mixture for this experiment turned out to be a case of wanting to clear out remainders in my refrigerator. Once I pureed the strawberries in my food processor, I added heavy cream, buttermilk and sour cream for an element of tanginess. 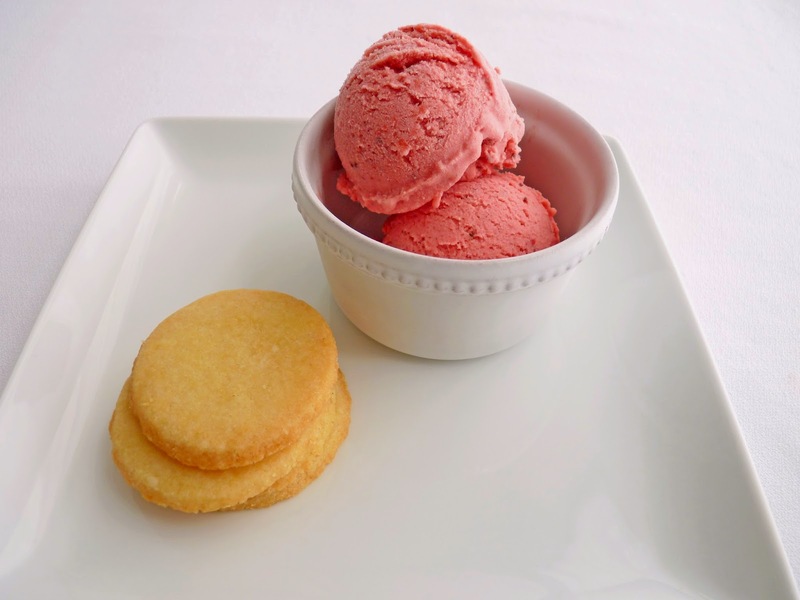 After a quick spin in my ice cream maker, I wound up with a fantastic and irresistible sherbet brimming with a very rich and pronounced strawberry flavor. That is not to say you can't make this wonderful sherbet with really great strawberries. But I was certainly surprised at how much I loved the results when using even mediocre fruit. Here's to a great spring full of the amazing beauty of fresh berries! - Sherbet is a fruit puree to which dairy has been added. 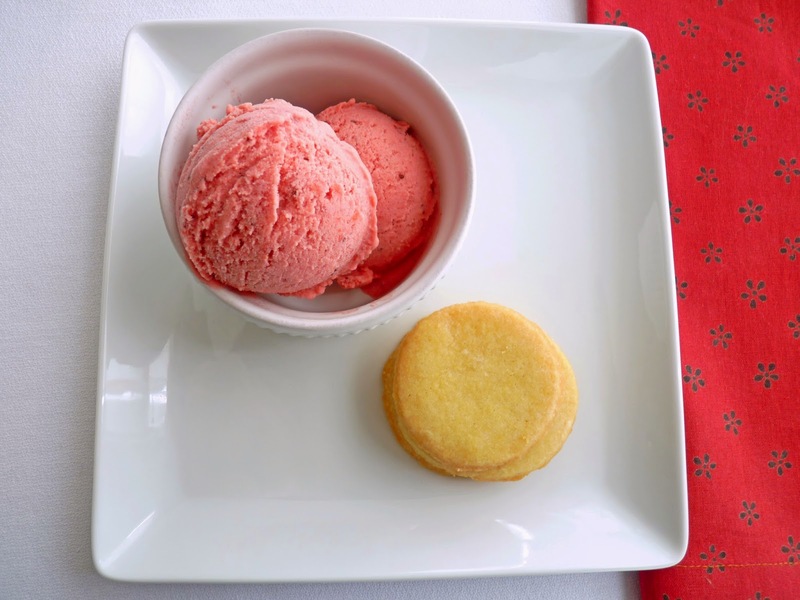 That is what differentiates it from sorbet, which is basically fruit puree and simple syrup. - You can also recycle a half-piece of dried vanilla bean from your vanilla sugar jar to use for the strawberries. I do this when vanilla isn't the star ingredient. So save your used vanilla pods: wash and dry them out and store them in a jar of sugar. They still impart a lot of flavor. - The roasted strawberries will taste very sweet. Not to worry, you will be adding some sour ingredients to the mix. - Balance the sweetness and brighten the acidity by adding lemon juice, to taste. 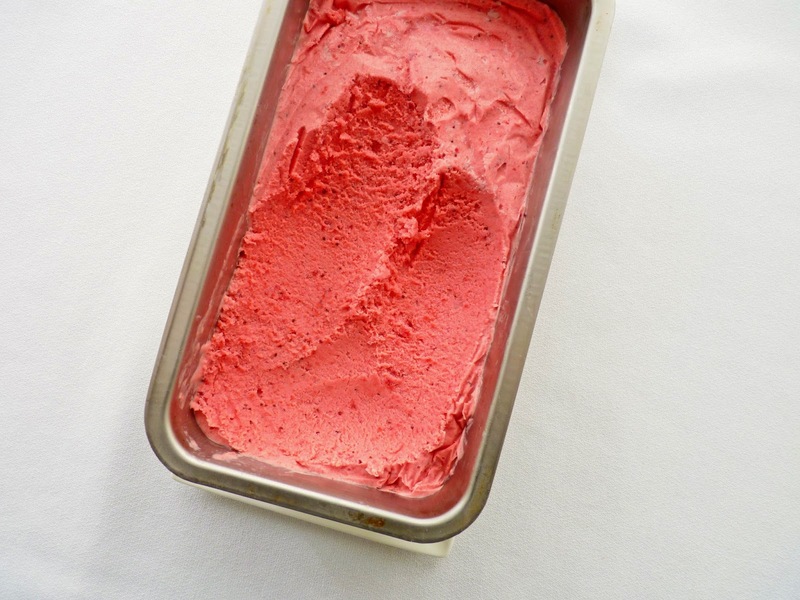 - Pack the finished sherbet in an airtight container, pressing down to eliminate any air pockets where ice crystals can form. I also press a piece of plastic onto the surface to discourage ice from forming on the surface. - Other sherbets to enjoy: Lemon Sherbet, Mocha Sherbet and Orange Spice Sherbet. Hull the strawberries and slice them in half or into quarters if they're large. Toss them with the sugar. Split the vanilla bean and scrape the seeds into the strawberries. Add the pod and toss to combine. Pour into an 8" square baking dish. Roast the strawberries for 30 - 35 minutes, giving them an occasional stir to coat them evenly with syrup. Place the pan on a wire rack and cool completely. Remove the vanilla pod and pour the strawberries along with their juices into the bowl of a food processor. Puree until smooth. Add the heavy cream, sour cream and buttermilk and process to combine. Add the lemon juice and a pinch of salt, to taste. Pour into an airtight container and chill thoroughly, preferably overnight. Freeze according to your ice cream machine's directions. Pour into an airtight container, press a piece of plastic wrap onto the surface, cover and place in your freezer to firm up. Nothing says spring like strawberries and rhubarb. After a long season of winter, the bright pop of color and tart acidity of this fruit combination is more than welcome. It's time for our annual spring pies, galettes and shortcakes! This is a pretty simple cake but one that really delivers on the promise of spring. It starts with a basic white cake. 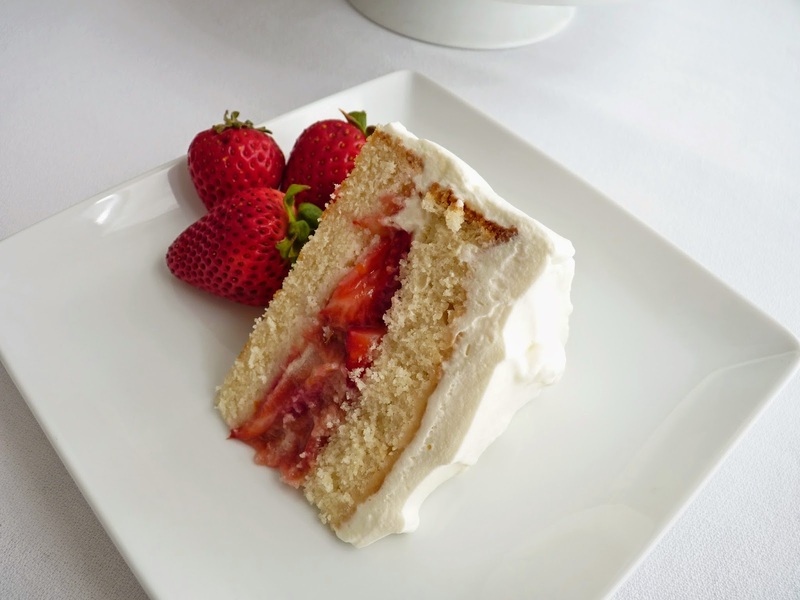 I've tried lots of white cake recipes but they always seem to fall just short of what I'm looking for. Sometimes they're too dry or too sweet or too dense or crumbly. I set to work on a basic white cake formula and with just a few little tweaks and a couple of test runs, I'm pleased with these results. The cake has a soft and tender texture with an open crumb. The flavor is subtle and wonderful, just the sort of backdrop for all your favorite fillings and frostings. The rhubarb in this recipe is cooked briefly on the stovetop with some sugar, orange zest and vanilla, flavors that really complement both fruits. The strawberries are sliced and folded in fresh to brighten the mix. It's an easy compote to layer in the middle of the cake. Then the whole thing is slathered in whipped cream. Light, fresh and simply delectable. - It's important to use cake flour for this recipe to produce a lighter and more tender cake. I buy it at my local bulk grocer where it's much less expensive than the box at the supermarket. You can also make your own cake flour using regular flour and cornstarch, which inhibits the formation of gluten. Here is the basic formula: 1 cup of cake flour = 1 cup all-purpose flour minus 2 tablespoons plus 2 tablespoons cornstarch. For the 1 1/2 cups of cake flour in this recipe, measure 1 1/2 cups of all-purpose flour and remove 3 tablespoons. Add 3 tablespoons of cornstarch and sift a couple of times to be sure it's completely blended. - This technique for mixing cake batter is called the "two-stage" method made popular by Rose Levy Beranbaum in The Cake Bible. It's different from the creaming method in that all the dry ingredients are mixed with the butter and some of the liquid. This mixture gets beaten for 1 1/2 minutes and then the eggs, vanilla and remaining liquid are added in three stages and mixed for 20 seconds after each addition. The creaming method results in more aeration of ingredients and therefore cakes made using that method usually have a stronger structure and turn out with a higher rise. 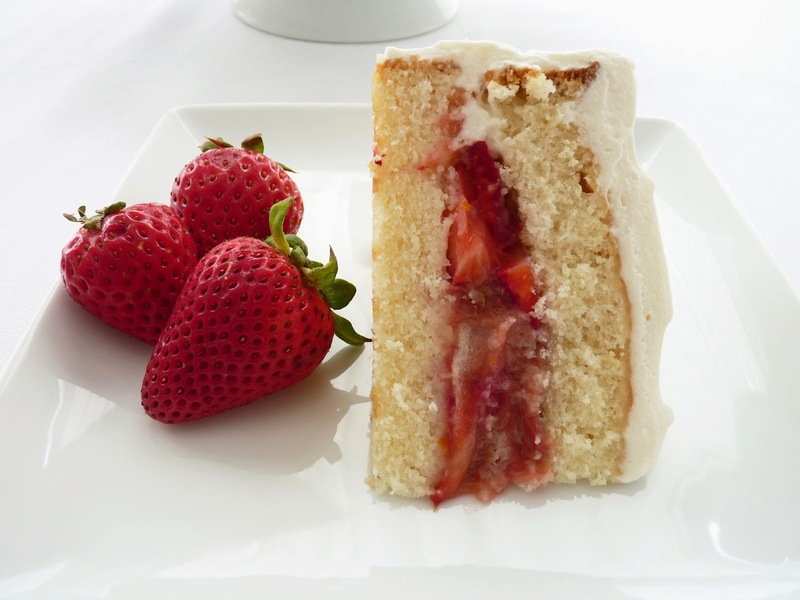 This two-stage method results in less gluten development and yields a more tender cake with a delicate crumb, exactly what we're looking for in a basic white cake. - For those who don't own a scale, I base my metrics on the "dip and sweep" method of measuring flour with the following important condition: Flour gets very compacted as it sits in our cupboards. So when measuring flour by volume, it's important to first take a fork or a whisk and fluff the flour thoroughly to aerate it before each dip of your measuring cup. Overfill it just a bit and then use a spatula to level the cup. So to measure by weight, my 1 cup of all-purpose flour = 5 oz (142 grams). My 1 cup of cake flour = 4 oz (113 grams). - "Room temperature" butter means the chill has been take off and it's pliable but not soft to the touch. - The cooked rhubarb will taste sweet but the added strawberries don't have any additional sugar. You may want to use less sugar if your strawberries are sweet. - I recycle a 3" piece of dried vanilla bean from my vanilla sugar jar to use for this compote. If you don't have a vanilla bean, substitute 1/4 teaspoons vanilla. - If you don't have creme fraiche, just use an additional 2 tablespoons of heavy cream. - What's the difference between heavy cream and whipping cream? Heavy cream contains 36% milk fat; whipping cream has 30%. For finishing a cake like this, use heavy cream because it whips up with a stronger loft and will hold its shape longer than whipping cream without weeping. Cream whips best when it's very cold. 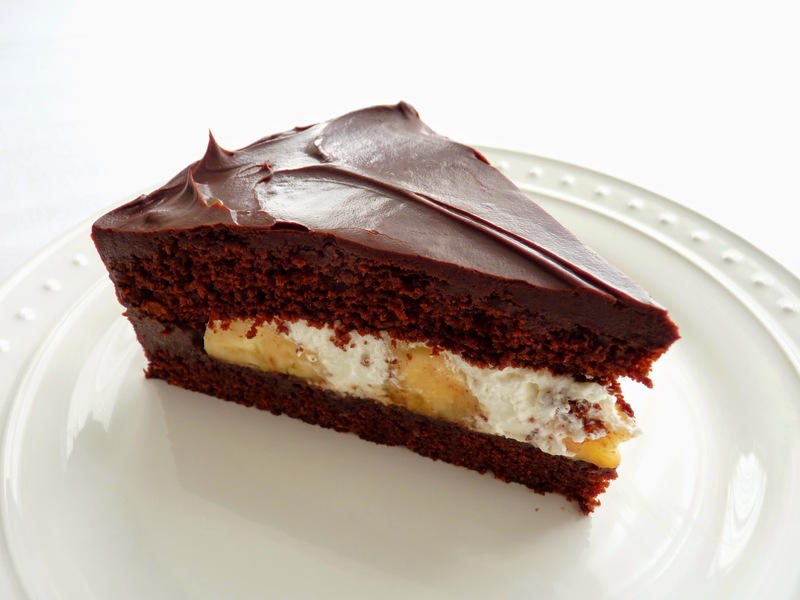 - Use a serrated knife and a gentle sawing motion to cut the cake into two layers. Start by making a small 1" cut into the side of the cake all the way around. Then bring your knife around again, sawing a little deeper. The cake will be cut in half very quickly. If you try to cut straight across in one fell swoop, you'll wind up with a lot more crumbs. Once the cake has been cut into two layers, I use a removable tart pan bottom to lift off the top half layer and set it aside. - For a simpler presentation, dollop the cream on top of the cake and serve the compote on the side. Or prepare individual servings by layering cake, fruit and cream in parfait glasses. 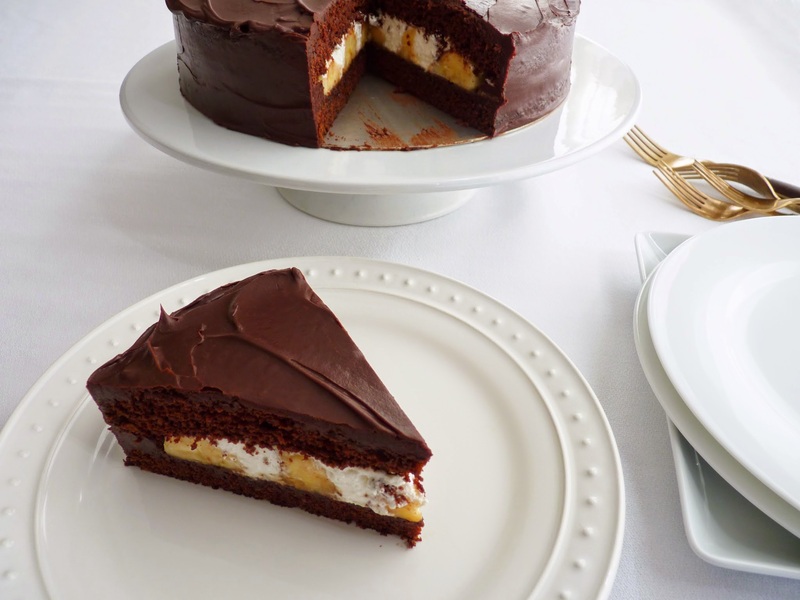 - For a larger cake, double the recipe and use two 9" cake pans. These will bake for a bit shorter time, about 25 - 28 minutes. You'll probably need about 1/3 C more whipped cream and a few more strawberries. 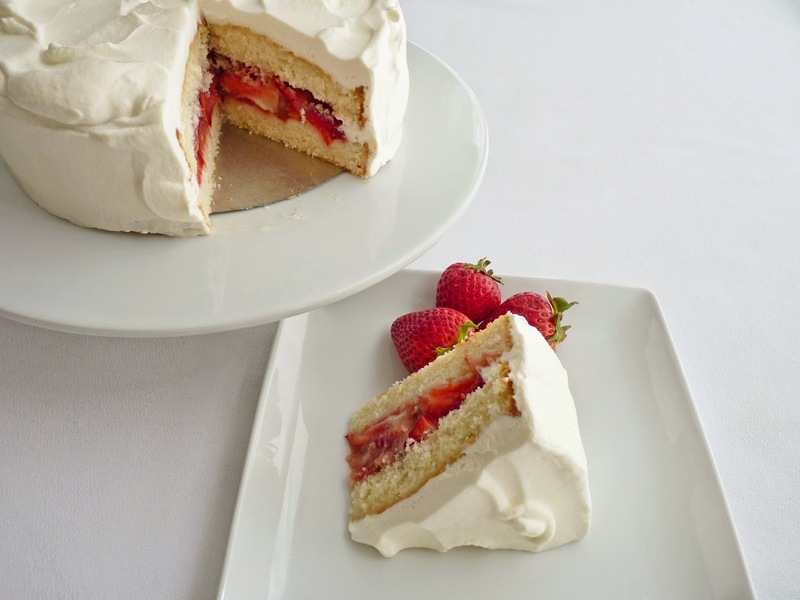 - Another very delicious cake along the same lines: Angel Food Cake Roll with Strawberries & Cream. Or if you prefer chocolate: Chocolate & Balsamic Strawberry Cream Cake. Whisk together egg whites, 1/4 cup milk and vanilla and set aside. Combine cake flour, baking powder and salt in a mixing bowl and mix on low speed for 30 seconds to blend. Cut the butter into 1/2" pieces and add to the flour mixture with the 1/4 cup remaining milk. Mix on low speed until moistened. Increase to medium speed and beat for 1 1/2 minutes. Scrape down the sides and bottom of the bowl. Gradually add the egg white and milk mixture in 3 batches, beating for 20 seconds after each addition to incorporate the ingredients and strengthen the structure. Scrape the batter into the prepared pan and spread evenly to level it. 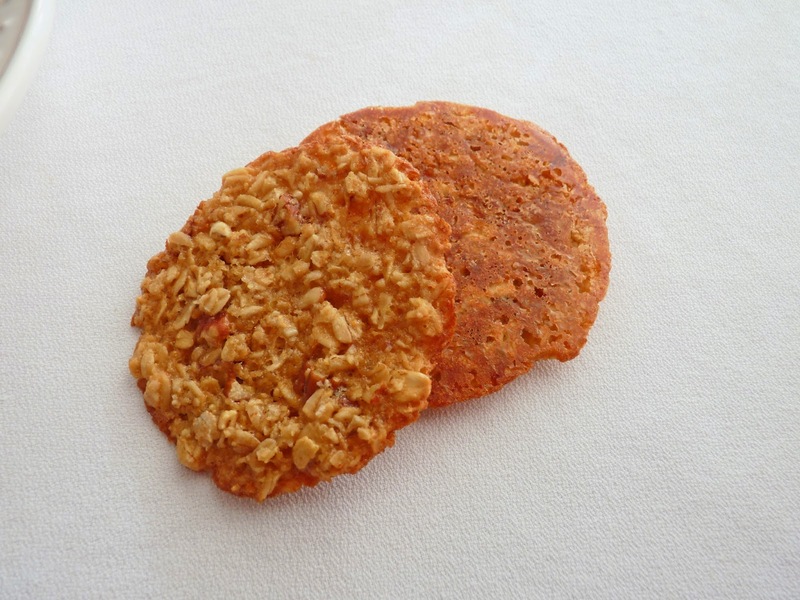 Bake until golden brown and a tester inserted into the center comes out clean, 30 - 32 minutes. Place on a rack to cool for 10 minutes. Run a knife around the edge to loosen. Invert the cake. Carefully remove the parchment and invert again. Cool completely. For the compote, place the sliced rhubarb in a saucepan with the sugar, orange zest and vanilla bean. Cook over medium low heat for about 10 minutes or until the fruit softens but still holds its shape. Take off the heat and remove the vanilla pod. Slice the strawberries into bite-sized pieces and toss with the rhubarb. To assemble, whip the cold cream, creme fraiche, sugar and vanilla to a medium stiff peak. Chill until ready to use. Place the cake on a cake board, removable tart pan bottom or a serving platter. Slice the cake in half horizontally and set the top half aside. Spread the fruit compote on the bottom half to within 1/2" of the border. Place the top of the cake over the fruit and press gently to secure. Slather the cake with the whipped cream and chill until ready to serve. I've been experimenting with oatmeal again in search of my idea of a great thin and crispy cookie. 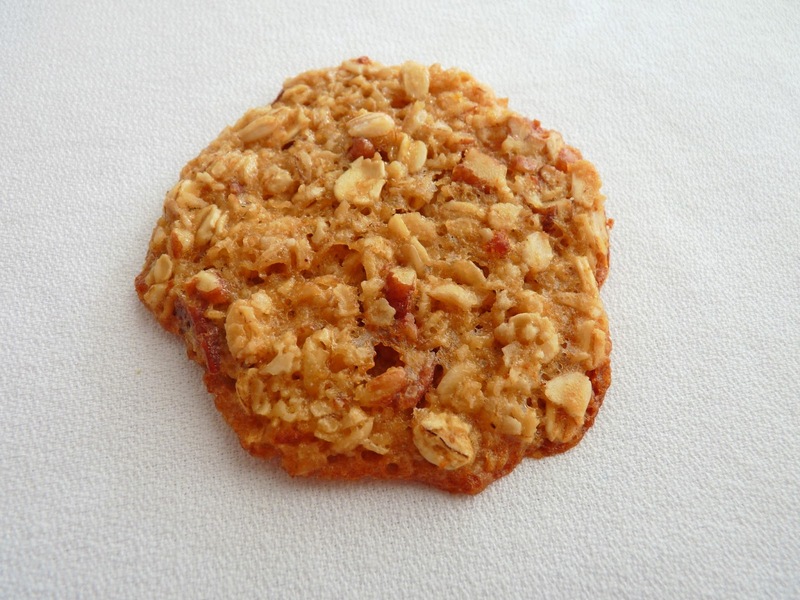 I wanted the cookie to be full of toasty oat flavor along with a tinge of butterscotch; brittle but also a little chewy; buttery without being too greasy. I also wanted to make a cookie without the use of flour or corn syrup. This is the result of several iterations and tinkering. I added nuts as a texture contrast to the chewiness. There's honey and just a touch of molasses to lift the flavor and a hint of salt as a counterpoint to the sweet. These are one of my favorite cookies. Super easy to whip up a batch, they bake off very quickly in just 7 - 8 minutes and cool on the baking pan. Savor them as an afternoon treat with a hot beverage or alongside a good bowl of ice cream. A technical note: It appears I'm having problems with my email subscription service once again. All of the fixes I've tried before don't seem to be working this time around. Sincere apologies to all my subscribers. I hope to get it resolved soon. - Toast pecans on a baking sheet in a single layer at 350 degrees for about 10 minutes. 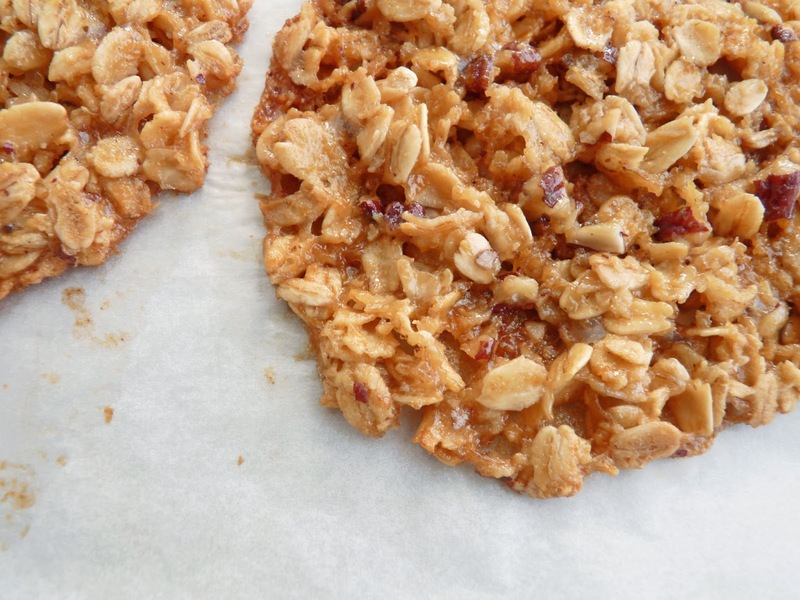 - Finely chop the pecans so they fit nicely in the flat cookie. - I like the texture of old-fashioned oats rather than the quick-cooking variety. - I used a #40 scoop (1 tablespoon) to portion the cookies. - These cookies bake very fast, just 7 - 8 minutes. They'll look a bit wet and pale when you remove them from the oven but they continue to dry and darken as they cool on the pan. You may want to run a small test batch first to gauge the results in your oven. Watch them closely. With these types of thin cookies, it's easy to go from perfect to burnt in just an extra minute. - The baked cookies store well in an airtight container in the freezer. If you're storing at room temperature, stack them with wax paper or parchment to separate them. Place oats, baking powder, salt and chopped pecans in a bowl. Toss together until thoroughly combined. Cut the butter into 1/2" pieces and place in a saucepan with the granulated and brown sugars, honey and molasses. Bring to a slow boil over medium low heat, whisking constantly. When the butter is melted and the sugar is dissolved and thoroughly incorporated, take off the heat. When the mixture is cool, whisk in the egg and vanilla. Switch to a rubber spatula or a spoon and combine with the oats, stirring until all the ingredients are blended and there are no dry patches. Scoop 1 tablespoon for each cookie, placing 2" apart, 8 cookies per prepared cookie sheet. 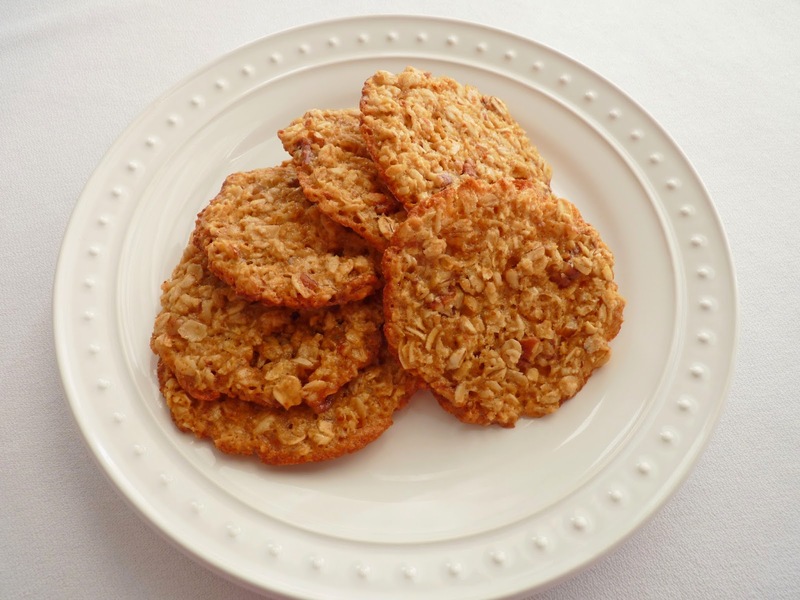 Dampen your fingers slightly and press on the center of the cookies to flatten to 2" in diameter, tucking in any stray oats around the edges to form a uniform border so they don't burn. Bake until a light golden color, just 7 - 8 minutes. Cool completely on the pan. Remove with a small spatula. Store in an airtight container at room temperature separated with parchment or wax paper or in your freezer. The impulse to decide on which pastry or dessert to create in my kitchen is driven by various things. Sometimes something just jolts my mood as I sift through my collection of ideas and recipes. Sometimes it's a desire to work on technique or to evoke the beauty I've seen in a window or on the pages of a magazine. Or maybe it's a distant sense memory of something delicious I've sampled somewhere. And sometimes it's simply the urge to use fruit that is ripening a bit too quickly in my kitchen. This is most often the case with bananas. Maybe I should have a page dedicated to what to do with very ripe bananas to address our gnawing responsibility to rush to their rescue. I know there are people out there who don't care for the combination of chocolate and fruit. But when done in good proportion, the acidity of chocolate can be nicely balanced and matched with the acidity of berries, cherries, apricots, figs, pears and bananas. I understand chocolate purists but I think fruit and chocolate often complement and enhance one another quite well. Who doesn't love a bite of chocolate cake? Add some ripe bananas and whipped cream and it becomes a dream dessert. Although there are four components to this cake, each one is very easy to do. The cake recipe is from Alice Medrich and is pretty foolproof. It features cocoa powder and brown sugar, the butter is melted and everything gets whisked together in one bowl. Then there's a thin layer of caramel sauce that's a quick simmer of brown sugar, cream, vanilla and a few grains of salt and cinnamon. The cake is finished with an irresistible chocolate ganache. I think it's a great balance of ingredients that works really well to produce a delicious cake that isn't too heavy or too rich. There's definitely plenty there to fire all your chocolate pastry neurons. - My usual weight for 1 cup of all-purpose flour is 5 oz. Alice Medrich's standard is 4 1/2 oz, so go with hers. 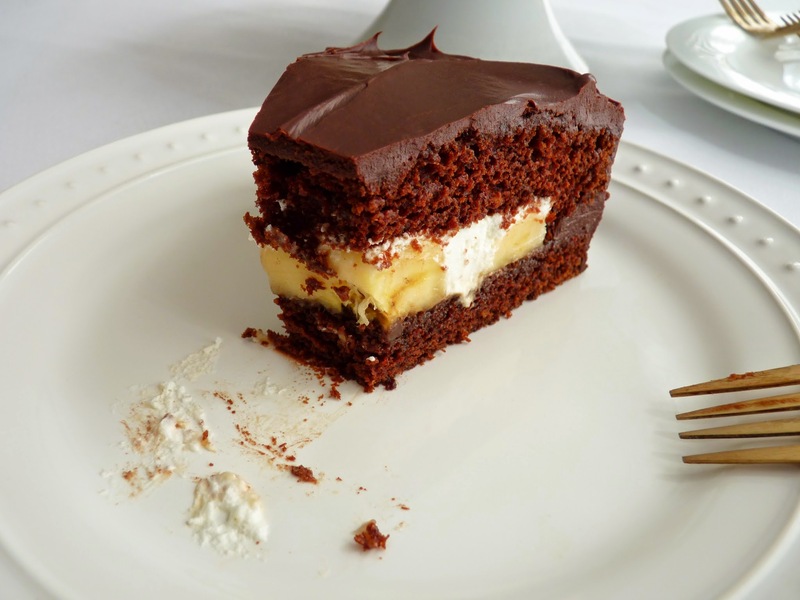 - Use natural cocoa powder for this cake rather than dutched. - No need to sift the dry ingredients unless your cocoa powder is lumpy. 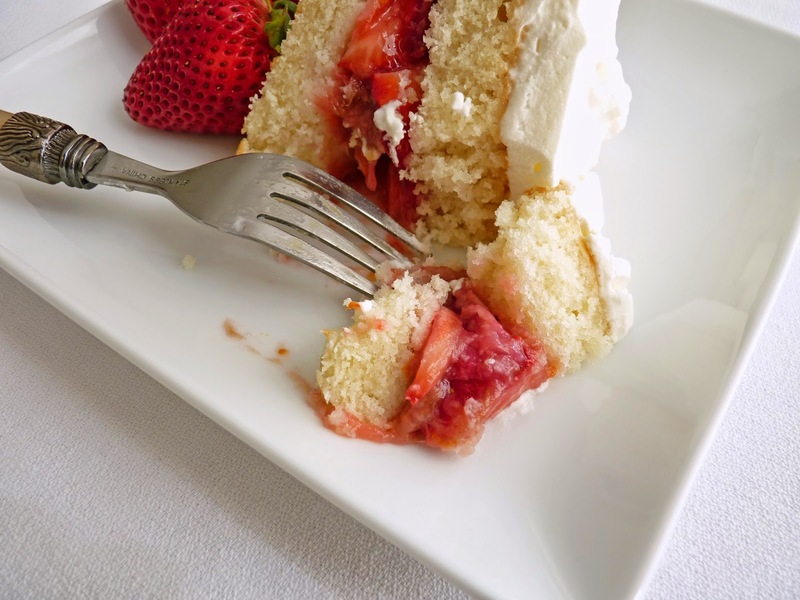 - Use a serrated knife to cut the cake into two layers using a gentle sawing motion. Start by making a small 1" cut into the side of the cake all the way around, just enough to score a mark around the edge of the cake. Then bring your knife around again, sawing a little deeper. You'll see that the cake will soon be cut in half. If you try to cut it in one fell swoop, you'll end up with a lot of crumbs. - I use a removable false bottom from a tart pan instead of a cake board for the bottom of the cake. Once it's been cut into two layers, I also use another removable bottom to lift off the top half layer and set it aside. It will slide right off and back onto the cake when you're ready to place. - You can bake the cake one day ahead and store it in an airtight container or plastic wrap at room temperature. The brown sugar caramel can also be made ahead and stored in an airtight container in the refrigerator for a few days. - When making the ganache, finely chop the chocolate so it melts quickly and evenly. I usually chop mine into bits the size of mini chocolate chips. Once you've added the hot cream, whisk slowly in concentric circles so you don't create air bubbles or cool the mixture down too fast before the chocolate is melted. Cut the room temperature butter into small pieces and add while the mixture is still warm so it combines smoothly. - If you use a 70% or higher bittersweet chocolate for the ganache, it might be slightly thicker so add an additional 2 tablespoons of cream. - Let the chocolate ganache set up until it's spreadable. Mine took about 25 minutes. It will be soft as it spreads but will dry rather quickly once you've frosted the cake. - Heavy cream whips best when it's very cold. Add a couple drops of brandy or rum along with the vanilla for an adult variation. - If you want a taller cake, use an 8" cake pan and bake the cake for 35 - 40 minutes or until a toothpick inserted in the center comes out clean. Preheat oven to 350 degrees F. Lightly grease a 9" x 2" cake pan and line the bottom with a circle of parchment. In a mixing bowl, combine the warm melted butter and brown sugar. Mix in the eggs and vanilla until well blended. Add all of the flour mixture at once and stir only until the flour is moistened. Pour the hot water over the batter all at once and stir just until the water is incorporated and the batter is smooth. Scrape into the prepared cake pan. Tap the bottom of the pan a few times on a work surface to release any air bubbles. Bake until a toothpick inserted in the center of the cake comes out clean, about 25 - 30 minutes. Cool the cake in the pan on a wire rack for about 10 minutes before unmolding. Run a thin knife around the edge to release it from the pan. Invert the cake and gently peel off the parchment. Turn the cake right side up and cool completely on a rack. For the caramel sauce, place 3 tablespoons of heavy cream and 1/4 cup brown sugar in a saucepan over medium low heat and whisk to combine. Bring to a slow boil for a minute or so until the sugar is fully dissolved, whisking constantly. Take off the heat and add vanilla, a pinch of cinnamon and salt, to taste. Pour into a dish and cool. For the chocolate ganache, finely chop the chocolate and place in a medium heatproof bowl. Bring the cream to a boil and pour over the chocolate. Whisk slowly and gently until the chocolate is melted. Cut the room temperature butter into small pieces and stir in until smooth. Set aside to thicken until it's spreadable. For the cream filling, whip the heavy cream, sugar and vanilla to a medium soft peak. Chill until ready to use. To assemble, place the cake on a cake board, removable tart pan bottom or a serving platter. Slice the cake in half horizontally and set the top half aside. Spread the brown sugar caramel on the bottom half to within 1/4" of the border. Slice the banana in half cross wise and then split each half along the length. Place the pieces in concentric circles on top of the caramel. 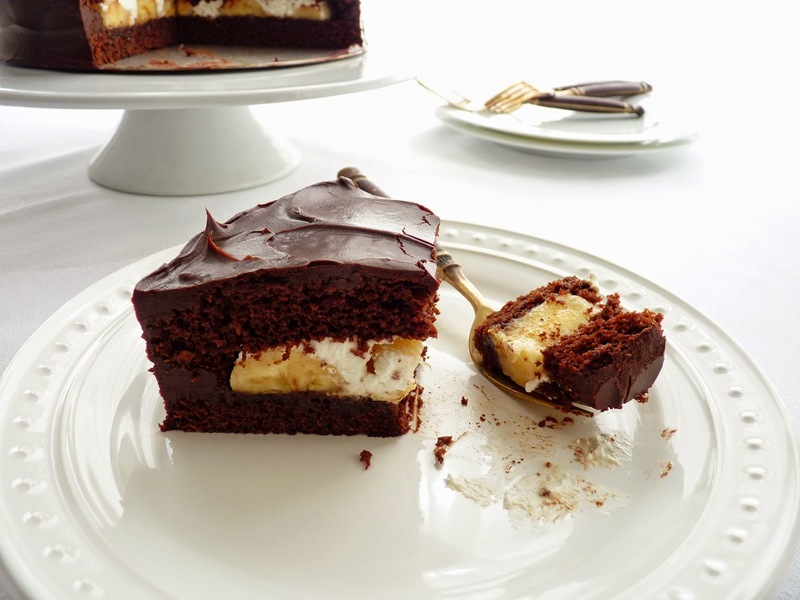 Cover the bananas with a layer of whipped cream to within about 1/2" of the border. Place the top half of the cake over the cream and press gently to secure. Chill until the ganache is ready to spread. Finish the cake by frosting the sides and then the top. Let the ganache set up before slicing and serving.